You save lots of money over the long term as all the running costs of a generator are virtually eliminated. Just think of only a N1000 (One Thousand Naira) a day for a small generator user and you are grossing up to N365, 000 (Three Hundred and Sixty five naira) in one year. Rush to Omovo Technologies ltd for your solar solution as low as 65k!!! Your inverter is of great benefit even if you don’t have NEPA at all. The sun pays your electricity bills. You simply run the generator for just a short period to charge your inverter battery bank and off the generator. On the whole, even in this circumstance, you still cut your generator use by up to 90%. Your business is still several folds easier economical and happier. This unparalleled success helps in enabling you enjoy low cost effective power solutions. We are confident the proposed inverter power solution will have a tremendous impact on your business and home. Companies, Estates and Homes all over the country work tirelessly to maintain regular power supply within and around their environments, they work hard to maintain a peaceful and economically friendly environment for their staff and residents. It is equipped to help you achieve these stated below:  Provide 24/7 power back-up  It reduces the cost of fuel/gas  It produces no noise  It produces no pollution  It is highly durable, quality and reliable.  It is user safety and user/Eco friendly  Low maintenance. With its expertise and experience in power management and energy efficiency, Omovotechnologies,plays an important role in making our customers businesses more competitive. We fulfill this role by providing highly reliable and efficient power management products and datacenter infrastructure solutions to ensure the continuity of our customers’ mission critical operations while reducing their Total Cost of Ownership (TCO). Omovo technology is a powerful and trustworthy partner to companies that strive to outperform the competition.Reliable technology has become more and more critical for success in business, enterprise growth and IT equipment are so intertwined that one does not happen without the other. Therefore, it is critical for IT managers to be able to plan and build high performance datacenters that are able to function without interruption. Hello bloggers this is my first post. 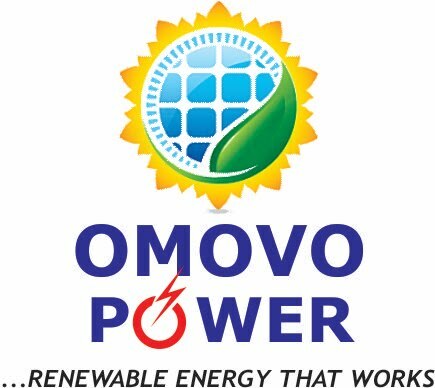 OMOVO POWER is a brand that solves Energy Problem.Stay connected to my blog for latest info on power solutions.